New – The best of both worlds, Hummingbird Robotics Kits are now powered by the BBC micro:bit! We love the Hummingbird Robot Kit at Constructing Modern Knowledge. The Hummingbird kit contains everything you need to build super cool robots, complete with motors, lights, and sensors out of recycled materials. The electronics just work when you plug components into the clearly labeled ports. There is no need to understand shields, resistors, or complex circuits. Best of all, Hummingbird robots can be programmed with Scratch or Snap! Not only are these languages designed for learning computer science and embraced by children, but the screen and outside world may now join forces. For example, control your robot from the screen or build a game controller via the Hummingbird. The Hummingbird’s Birdbrain Robot Server control panel automatically installs new primitives (commands and reporters) into either Scratch 2.0 or Snap! in the browser. No tricky libraries are required. The software you know and love just gains new blocks. Both languages are dialects of Logo. There is a great deal of useful information on the Hummingbird Robot Kit web site, but we find that the answers to the questions people ask as they get started are a bit scattered. Therefore, we’re sharing the resources most useful in our workshops and summer institute. 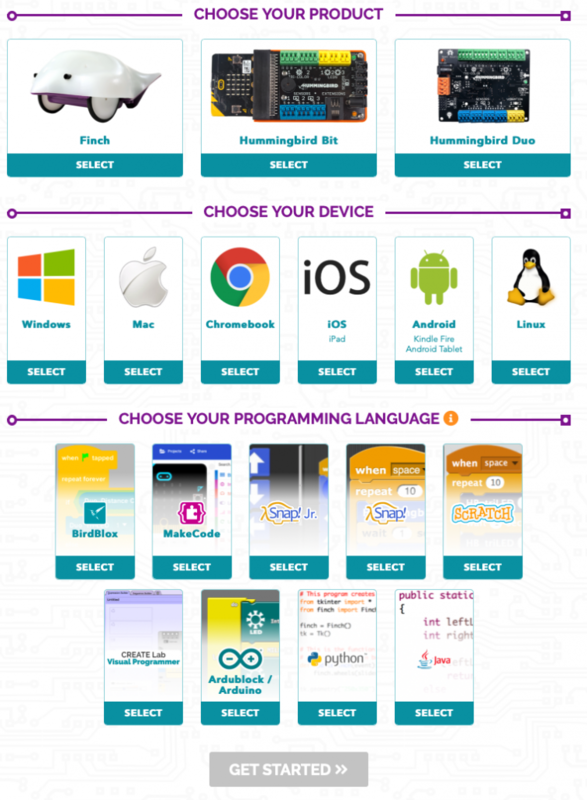 Hummingbird resources – Hardware how-tos, coding cards, teacher resources, and more. The Hummingbird Robot Kit may be programmed with a variety of languages. We use Snap! in our workshops. Scratch and Snap! 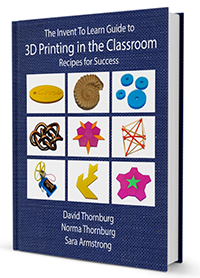 have similar learning curves and capabilities when used with the Hummingbird Kit. Both are descendants of the Logo programming language, both are block-based, and either one will give you and your students a very good experience. If your students already know Scratch, they can program in Snap!. The Hummingbird website makes this easy. Just select your configuration and follow the on-screen instructions. Where are the blocks I need to program the Hummingbird? Snap! installs Hummingbird blocks at the bottom of several tool palettes (motion, looks, sensors). There are other software options for the Hummingbird, including Python, Processing, and Java, plus several Arduino languages. Some of these options allow for untethered use of the Hummingbird. Other software options. Robot Dog from CMK 2014 on Vimeo. Polly the Animatronic Parrot from CMK 2014 on Vimeo. Tagged with: Hummingbird, logo, programming, robotics, scratch, snap!